Breakfast just so happens to be the widely appointed most important meal of the day. Unfortunately, with lives running amuck with schedules and deadlines, it’s not always in our time allowance to get the right nutrition in our diets. So, sometimes it helps to resort to quick measures in order to ensure our body is treated properly. 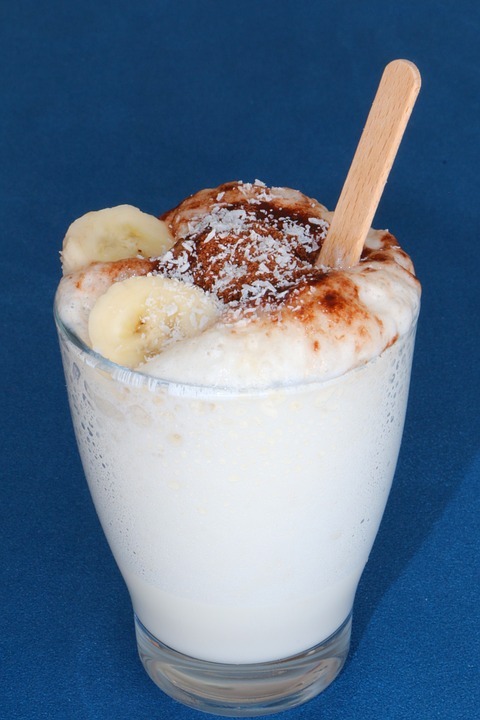 With that being said, we’d like to introduce you to the answer you’ve been searching for in your camper, the Banana-Rama breakfast shake! Aside from the ingredients, all you need here is a blender and a cup! For the perfect mix, it’s recommended that you put the first few items in the blender in order. To start with, get the ice cubes in. Now, spread the powder on top of the ice as evenly as possible. Pour in the milk over the group of cubes followed by the creamer and a few good squeezes of chocolate sauce. If you want a thicker shake, only use 1 cup of milk. Next, you’ll want to break the banana up into chunks as you drop it in the liquids. Once everything is set, cover and blend on high. You may need to shake the blender around a tad to make sure all the ice is broken down. Getting a spoon to stir a few times might also be an option. After almost a minute, the concoction should be ready. Whether you’re in a standard home or your motorhome kitchen, this is an easy, on the go type of beverage with all the nutrients you need to get your day started! Do you have some motorhome dishes you’d like to share? Tweet us your favorite RV recipe by clicking here. Feel free to give us a follow on our other social channels as well, such as Facebook, Pinterest, and Instagram.